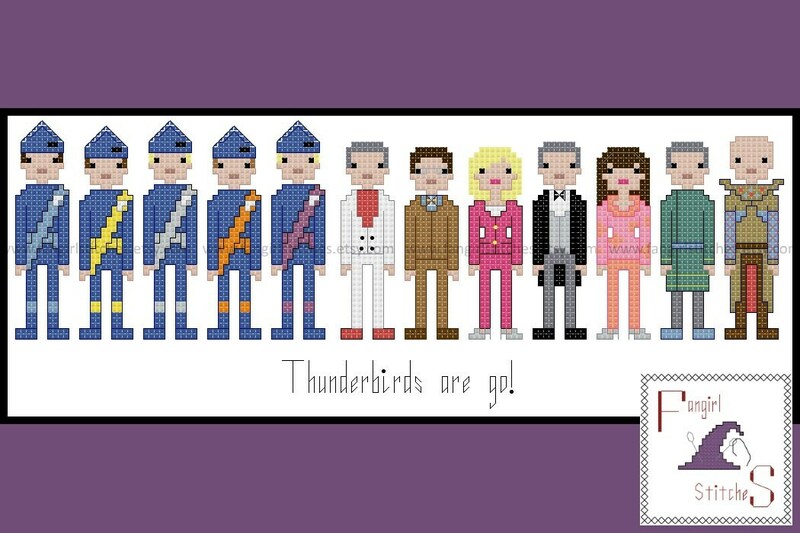 This cross stitch pattern features the marionette puppet characters from the 1960's television show: The 5 Tracy brothers, Jeff Tracy, Brains, Lady Penelope, Parker, Tin-Tin Kyrano, Kyrano, and The Hood. Finished piece: measures 11 x 4.5 inches. This design includes whole stitch, half stitch, back stitch, and French knots, and is suitable for beginner stitchers looking to stretch their skills.